Making up 40% of the world’s population, the first generation of the 21st century is starting to come of age. Known as Generation Z, members of this demographic are environmentally aware, socially tolerant and globally connected. They believe current systems are broken and they will not be held responsible for further destruction. Naturally grown by sheep and a valuable recyclate, wool offers many solutions to Generation Z’s concerns. 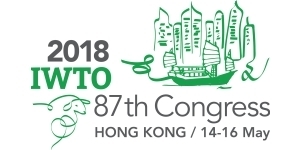 The International Wool Textile Organisation will dig deeper into Generation Z when it examines Wool for Future Markets at the next IWTO Congress, taking place 14-16 May 2018 in Hong Kong. IWTO encourage applications to it’s Young Professionals Programme, which offers mentoring, special networking events, and a reduced delegate rate to the next generation of the wool textile industry.